The ASUS Tinker Board is a single-board computer (SBC) which boasts a slew of nifty features. It's more powerful than many competing maker boards like the Raspberry Pi, and offers tons of the same functionality and compatibility. With its small footprint, you may use the ASUS Tinker Board as a desktop PC with operating systems (OSes) such as Ubuntu and Android. For a do-it-yourself Chromebox, try Flint OS for Tinker Board. The ASUS Tinker Board is an ARM-based SBC with a Rockchip RK3288 Cortex-A17 quad-core system on a chip (SoC) at its center. There's an ARM Mali-T764 GPU, 4K video output, and 2GB of DDR3 RAM. Connectivity includes 802.11 b/g/n Wi-Fi, Bluetooth 4.0, a 40-pin GPIO header, 15-pin MIPI CSI slot, and four USB hosts. Plus, you'll find a micro USB port for the power supply (PSU). Stepping up to the ASUS Tinker Board S adds better power management, HDMI-CEC, a smart audio out jack, and 16GB eMMC. With a bevy of ASUS Tinker Board OS options including the Debian-based TinkerOS, ASUS Tinker Board RetroPie images, Lakka, Ubuntu, and Android, the Tinker Board posits itself as a true Raspberry Pi killer. The form factor remains maintains compatibility with Raspberry Pi cases, so loads of ASUS Tinker Board case variety exists. Flint OS, now FydeOS, is a Chromium OS alternative. It's a free, open-source Chrome OS distribution. Since it's a cloud-based operating system, Flint OS delivers a fast startup time, simplicity in its software architecture, and enhanced security. Since it's based on Chromium OS, Flint OS offers much of the same functionality. 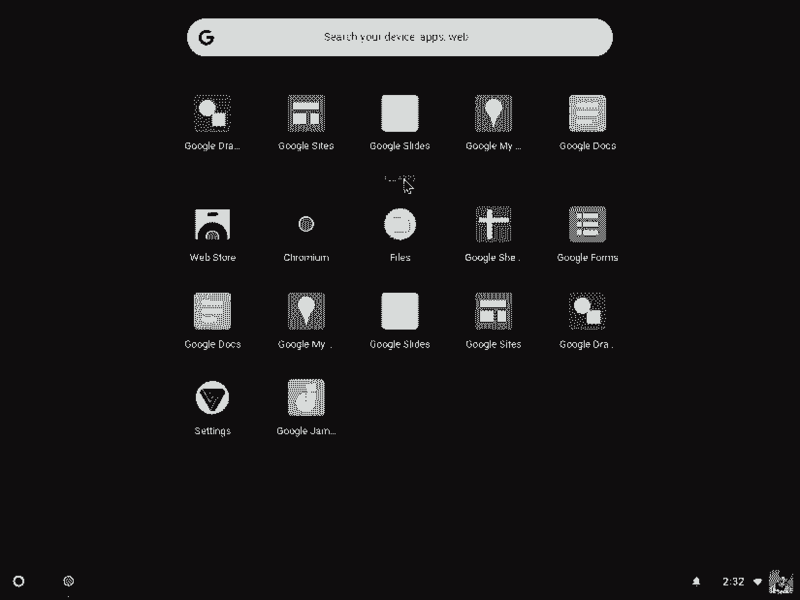 Aside from its Flint OS for Tinker Board release, you'll find a Flint OS Raspberry Pi image as well as Flint OS for Firefly boards. When comparing Flint OS vs Chromium OS, the two DIY Chromebook releases provide familiar layouts with nearly the exact same features. Among the main differences in Chromium OS and Flint OS, there's a more polished vibe to Flint OS as well as greater hardware compatibility. Flint OS, like Chromium OS, runs on SBCs but adds support for x86 PCs. A DIY Chrome OS PC with the ASUS Tinker Board is simple but effective. You'll need the ASUS Tinker Board SBC, a microUSB power supply, microSD card for boot medium, and a case. On the software side, you'll need Flint OS, an image mounting app like Etcher, and extraction software such as 7Zip. First, download the Fyde OS ISO. Since it's an img.xz file, you'll need to extract it using a program such as 7Zip. Then, using an application like Etcher, mount your image file to a microSD card or eMMC. Once complete, insert your boot medium into the ASUS Tinker Board. Plug in the Tinker Board, connect your mouse and keyboard, and power the device on. Upon first launching FydeOS, you'll need to enter your preferred language, keyboard layout, and choose a network, either Wi-Fi or ethernet. Once you've completed this, click continue. 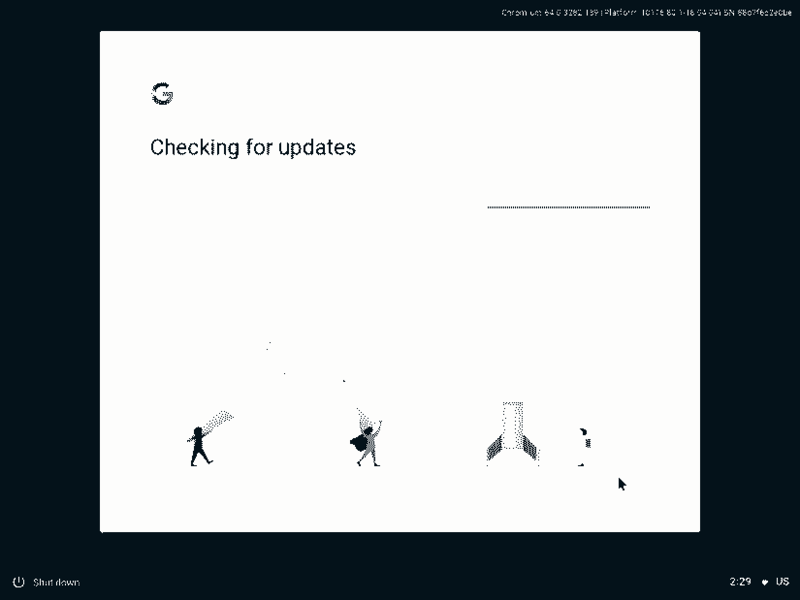 Then, FydeOS checks for updates. After the operating system formerly known as Flint OS updates, you'll need to log in with Google credentials or create an account. When you've signed into your Chromebook, you're up and running. While the ASUS Tinker Board offers a smorgasbord of operating systems for using the ASUS Tinker Board as a desktop, FydeOS remains a top choice. It's ridiculously easy to install, provides excellent security, and uses few system resources. I loaded up a few apps including Slack, Evernote, and Google Play Music. Each ran extremely well, even on hardware as light as the ASUS Tinker Board. With the ease of getting started and lightweight nature of FydeOS aka Flint OS, it's a fantastic way to utilize the ASUS Tinker Board as a desktop. However, there's not a ton of support. Whereas the majority of Linux distros provide excellent forums, FydeOS embodies the phrase do-it-yourself as few resources exist for troubleshooting. App choices are pretty limited, though you'll find useful software such as Google Docs, Sheets, Slack, and Evernote. Despite this, Flint OS runs flawlessly on the ASUS Tinker Board. Installation took less time than app installs. Overall, FydeOS/Flint OS running on ASUS Tinker Board hardware works extremely well. It's simple and effective as a desktop OS. I still prefer Linux distros such as Ubuntu or Debian on the Tinker Board, but that's likely my overall preference for Linux operating systems. Partly though it's due to the lack of documentation for Fyde OS on the Tinker Board. Luckily, installation remains a breeze, taking mere minutes. It might take you longer to type that unnecessarily-long Wi-Fi password than the OS install itself. Overall, it's a neat means of using the ASUS Tinker Board as a desktop. Which ASUS Tinker Board operating systems are your favorites?